RV Campark Resort - Joyful Journeys Inc.
Where time stands still and so will you . . . Enjoy a relaxed, friendly, recreational experience at our spectacular 100 acre oceanfront oasis. 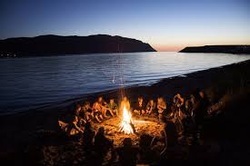 Whether you want to vacation in the comfort of your RV or just want to pitch a tent in a natural setting you will have access to all of the amenities you need for a relaxing and memorable vacation. Family, friend and pet friendly – doggy daycare onsite! 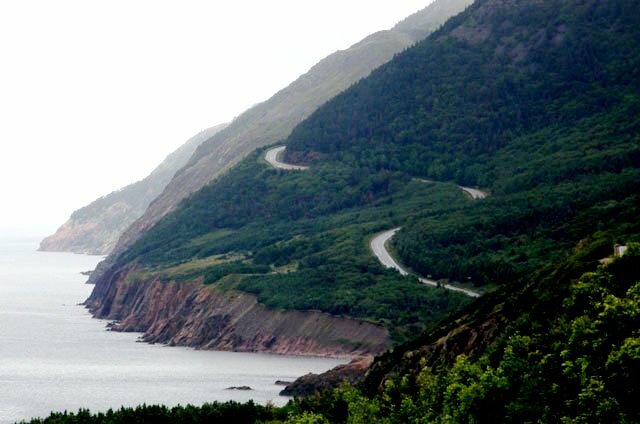 Vacation on the scenic, world-renowned Cabot Trail skirted by the stunning Cape Breton Highlands. You will find us nestled in Jersey Cove in the historical award-winning community of St. Ann’s Bay on Cape Breton Island, Nova Scotia, CANADA. How to get here! Surrounded by lush forest, majestic mountains, sparkling lakes, rivers and streams, Joyful Journeys provides you with opportunities galore to experience rustic nature while enjoying the comforts of home. Wooded and open grounds offer communal or private settings with stunning ocean views - perfect for relaxing, exploring, hiking or biking. With access to phenomenal St. Ann’s Bay and surrounding areas, nature is at your doorstep, offering glimpses of wildlife and the untamed world. Our expansive sand and pebble beach is perfect for sun-bathing, swimming, fishing, picnicking, campfires, canoeing, kayaking, scuba-diving, whale-watching, exploring or treasure hunting. Contact us today to find out more or click here to reserve your spot in paradise today! Both routes are easy to get to and the views are amazing! Take Exit 11 - Englishtown Ferry or Exit 12 on the Cabot Trail. Get full directions and map here. Spacious, full hookup RV and Tent sites available. * Private tenting area available for large groups, parties and special occasions. Seasonal and overnight visitors are welcome from May 15 to week after Thanksgiving every October. For inquiries call or email our friendly staff!